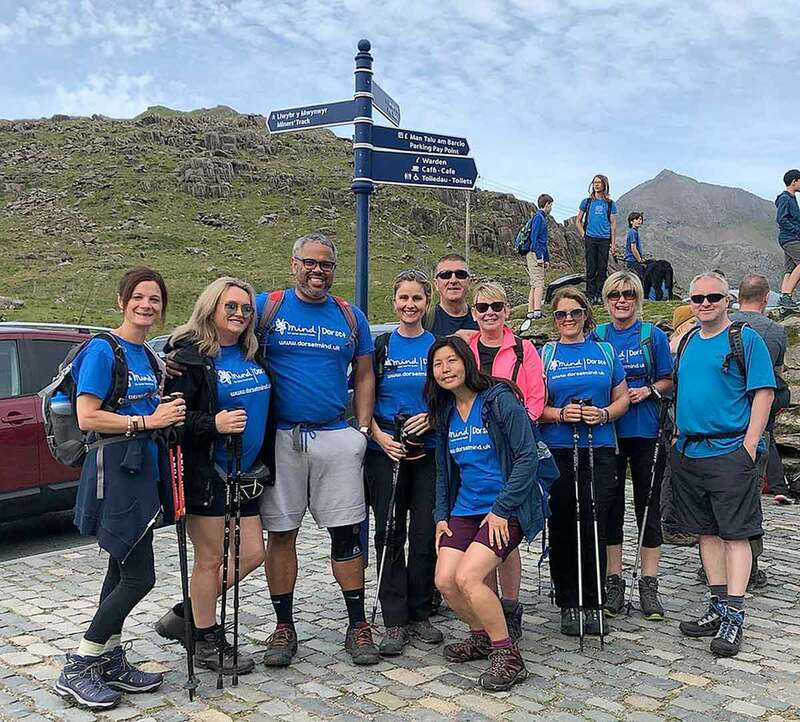 A group of staff and friends from Douch Family Funeral Directors stepped up to a mountainous charity challenge and scaled Snowdon. The 3,500ft peak was reached in 90-degree heat after a three-hour climb and raised more than £1,500 for Dorset Mind, the mental health charity. Ten of them went up and 11 descended. Wendy Percey had taken the train to the top but made the four-hour walk down. Emma Regan who organised the 8km ascent said, “We chose a very hot day which was incredibly tiring, but it allowed us to see Snowdon at its best. “The views were astonishing and we were lucky because some people see very little from the mountain.